Stripers in the Surf on Poppers !! 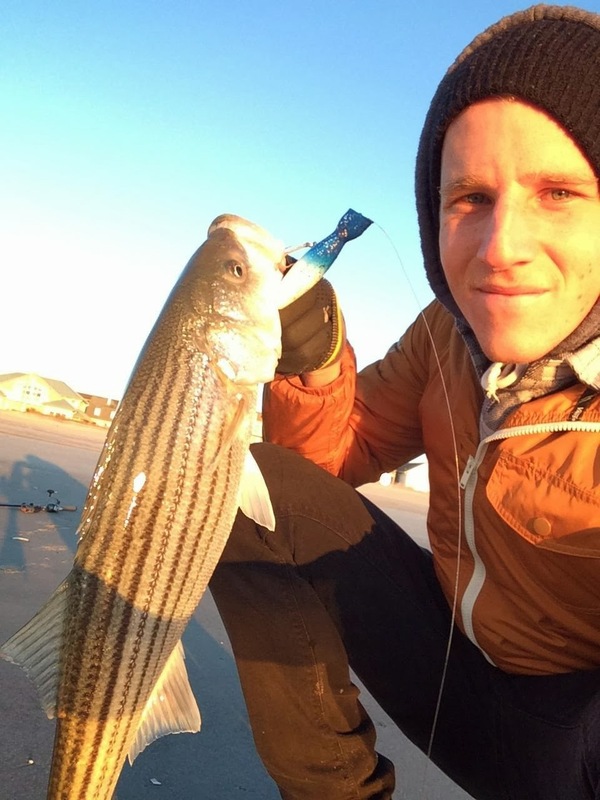 Check out this striper Kyle just landed throwing a blue and white Atomizer Atom popper in the surf. There are a lot of new fancy expensive poppers and lures out there but some times the classics work best. It was a cold yet gorgeous morning and there have been more and more reports of stripers in the bay and now in the surf. Its getting to be that time so gear up and get out there and look for yours…. 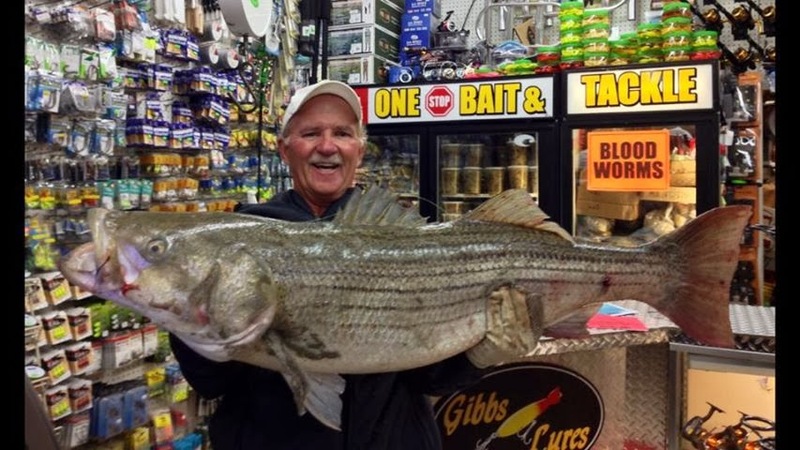 Fresh bunker, live clams, eels, spot, green crabs, bloodworms all available.. I have gotten some great reports over the last couple of days. 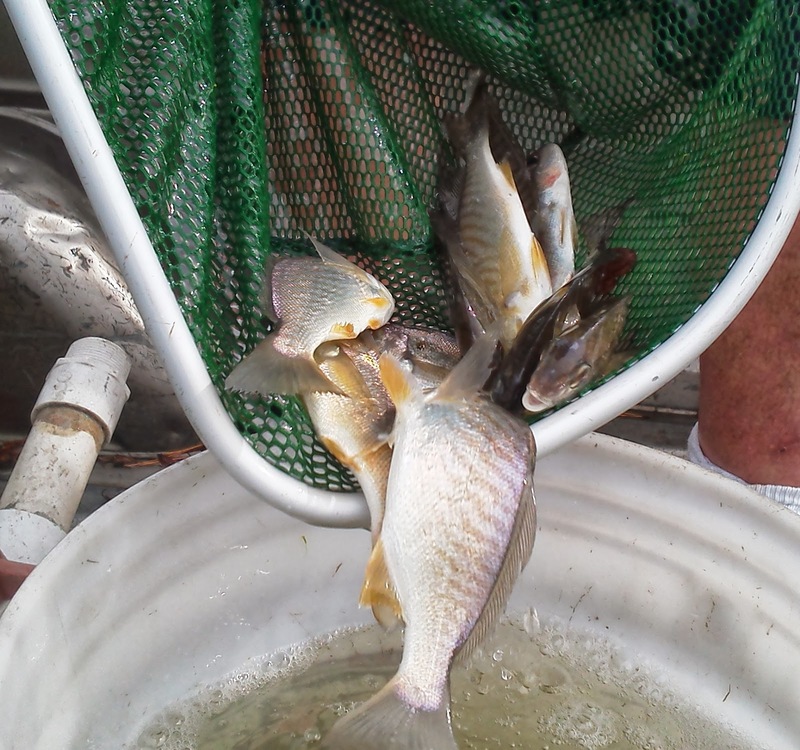 There have been several big fish taken off Briantine and Atlantic City witch puts that school in Sea Isle City for the weekend from what I have herd all the fish where on clams. Saturday looks ok but as of now Sunday looks like the better day. Also the people fishing the back bay are catching stripers steadily using a buck tail and curly tail worms, rattle traps, and poppers in the evening. Over night people are using black boomers, drifting eels or spot. If you are fishing in the lights soft plastics like fines fish or bass assassins are working well. There was frost on the pumpkin at my house this morning things are going to be letting loose any time now. 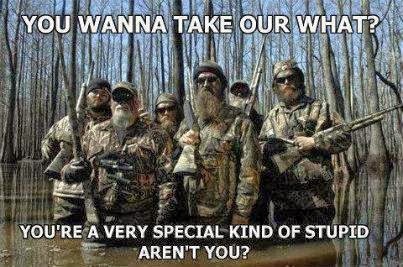 I know you have all been screaming for more of the duck calls from Duck Commanders. I do have some more coming in. A wood duck call and a mallard call. With the popularity of the TV show these call are very hard to get I will continue to order every one that is available. I also ordered some Haydel’s and Illinois river we will see what they ship!! Herd some excellent reports of teal and wood duck from opening day. The spot supplies are holding up well and the suppliers are saying there is a good amount but not as many as they wanted to have of the small-mid size. With the cooler temps the spot and eels are really string to move as people stock up before supplies get low or cost go up. If you need some let us know pre orders are recommended on orders of more than 50. There is a price brake at 50 and 100 on spots and eels. On orders of 50 of 100 pleas let us know before you come. We also have spot and eel pens available.